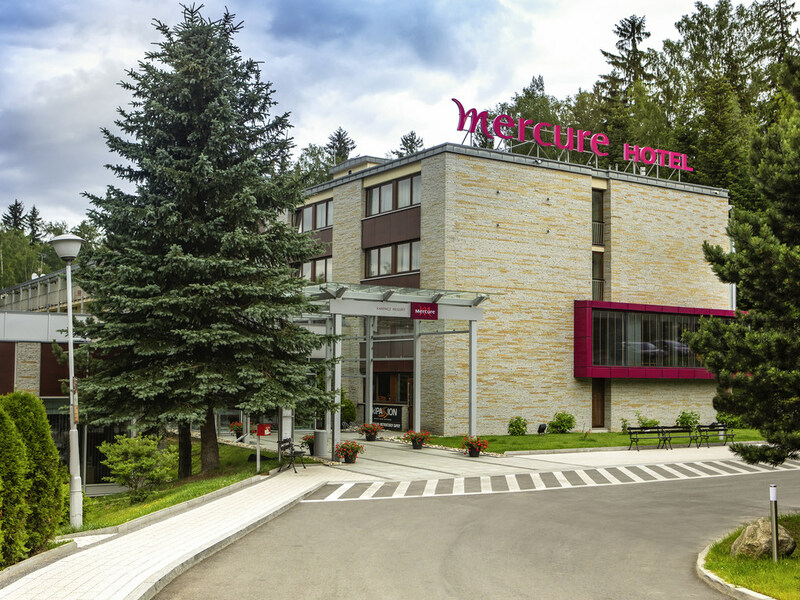 The three-star Mercure Karpacz Skalny hotel is located at the foot of the picturesque Karkonosze Mountains, just 328 yards (300 m) from the city center. The hotel has 146 newly renovated, comfortable en-suite rooms with Internet access, satellite TV and a telephone. The restaurant serves regional, Polish and international dishes. Hotel guests can also make use of the Wellness&Fitness Center with its indoor pool, barbecue area, children's playground and large car park. Hotel located in a quiet area just 328 yards (300 meters) from the downtown area. Wellness & Spa Center with swimming pool, hot tub and saunas, plus treatments and massages. Barbecue area and green areas near the hotel make it an ideal place to spend your free time. Choose from a Standard Room with a view of the gardens or the forest. Standard Room with twin beds, ground floor. Our light and spacious restaurant offers a wide selection of Polish meals, including regional specialties, and international dishes. During the summer, guests can enjoy dining out on the sunny terrace with a view of the Sniezka mountain. After a day of hiking in the mountains, come and relax in the hotel bar with a sophisticated drink or a freshly brewed cup of coffee.